The first time I heard the group Blue Highway sing their a capella version of What Wondrous Love, my jaw dropped. "Yes!" I shouted -- "I have got to have that melody!" The choral arrangement they sang was completely captivating, like a bluegrass version of the old Shapenote hymn. "Someday I'll figure that out," I told myself. This is a choral arrangement (though instruments can take the place of vocal parts) of the Bluegrass-sounding version of What Wondrous Love. My arrangement is not exactly the same, but is modeled after the style of Blue Heaven. Well, alright, there is the occasional intonation problem, but there are also moments of beauty! One young lady started solo, on verse 1. She was joined on verse 2 by two sopranos, and she dropped to the "monotone" or pedal-point single note of the Voice 2 part. At verse 3, two more sopranos joined the Voice 1 part, while my heretofore silent mezzo-sopranos hummed along with Voice 1, and a very strong and low singer (my daughter!) took the Voice 3 part alone. Soloist #1 continued with the single-note part. A beginning group can learn this song, and learn it quickly. At first it is hard to hold on to the melody, but after getting used to the sound of the almost-dissonant 2nds, and the open 4ths and 5ths, my little choir leaned into their parts. Adding Voice 4 is the hardest. So why should you buy this arrangement of What Wondrous Love from me, aside from the very important fact that this arrangement can't be found anywhere else, and choral music from other suppliers must be bought in batches of six, while I am only charging $5.00 for unlimited copies? * The notes and lyrics are comfortably large, making reading easier! * I give you permission to make unlimited copies (for your group only). Do I speak tongue-in-cheek? 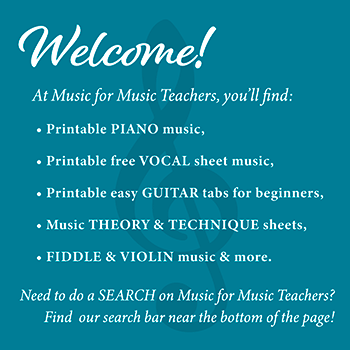 Not at all -- as music teachers, as music students, you know there are times when you need music RIGHT NOW and your only recourse is to make a copy of copyrighted music...or do without. People do what they have to do, but there are consequences. Your church or school choir will learn that copying music is "JUST WHAT EVERYONE DOES... " Please don't teach them that. Music teachers teach by example. What are your students learning from you about the value of the work of composers, arrangers, publishers and TEACHERS? * And, Oh, yes! It is only $5.00 for the total cost of giving this piece to your choral group, and they will think it is really cool. Once you've got the PDF file for What Wondrous Love choral arrangement, feed just one page at a time, unless you know you have high-quality paper which won't grab extra sheets when being pulled through the feeder.